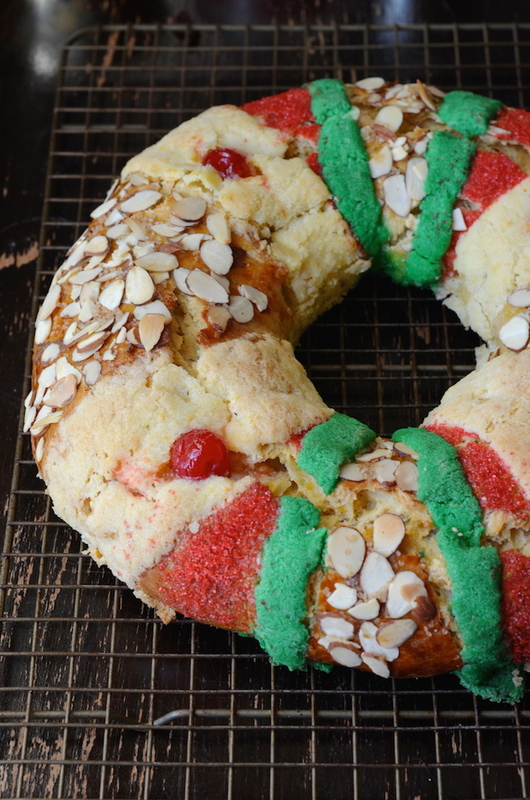 Rosca de reyes (also known as Roscón de reyes) is a Spanish and Latin American dessert bread traditionally served on Three Kings Day, which is celebrated on January 6th. The holiday, known as the Epiphany, marks the day the wise men arrived to see and bring gifts to the newborn baby Jesus. 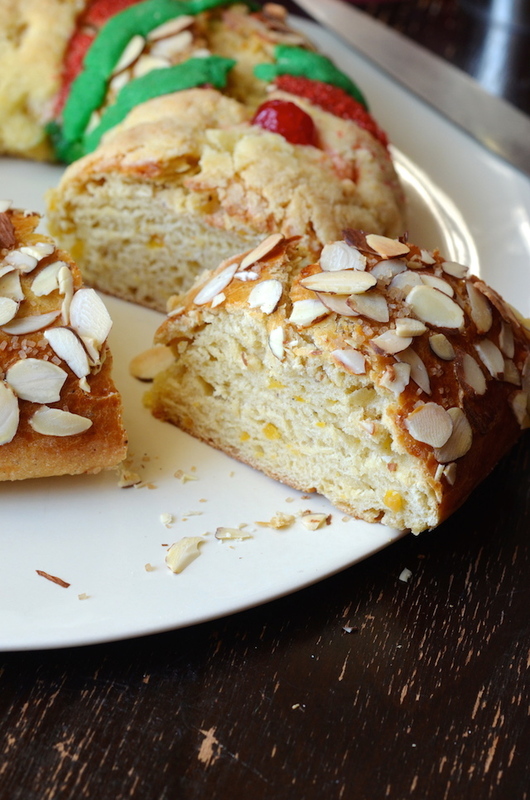 The soft, buttery yeasted bread is sometimes filled with rum-soaked fruits and decorated with candied fruits, nuts, or strips of sugar paste (similar to that found on Mexican pan dulce). There are as many recipes as there are bakers, but the flavors tend to be similar, with hints of citrus, almond, anise or cinnamon. As an added surprise, a small baby figurine (meant to represent the baby Jesus) or a bean is usually hidden inside. The person who finds it in his serving is crowned king or queen of the day, and is responsible for hosting the next party. In France, they eat a round cake known as galette de rois--made with puff pastry and a luscious almond cream. 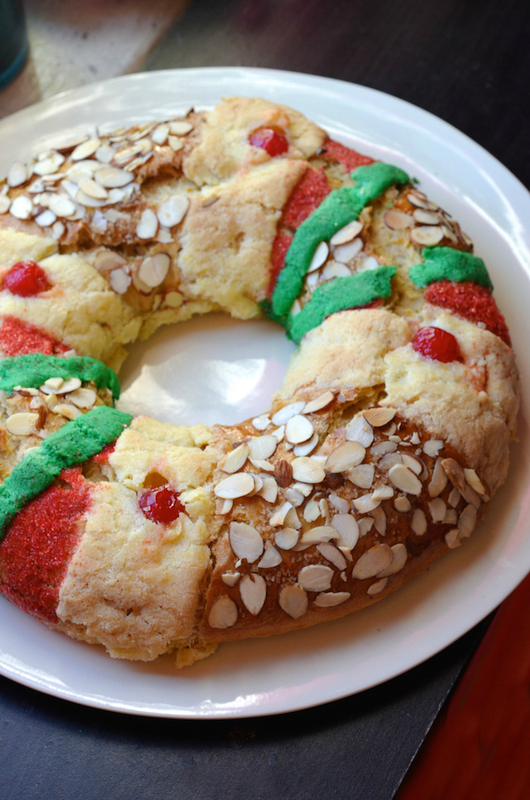 Growing up, my family actually never ate rosca de reyes as it's not really common in Puerto Rico. 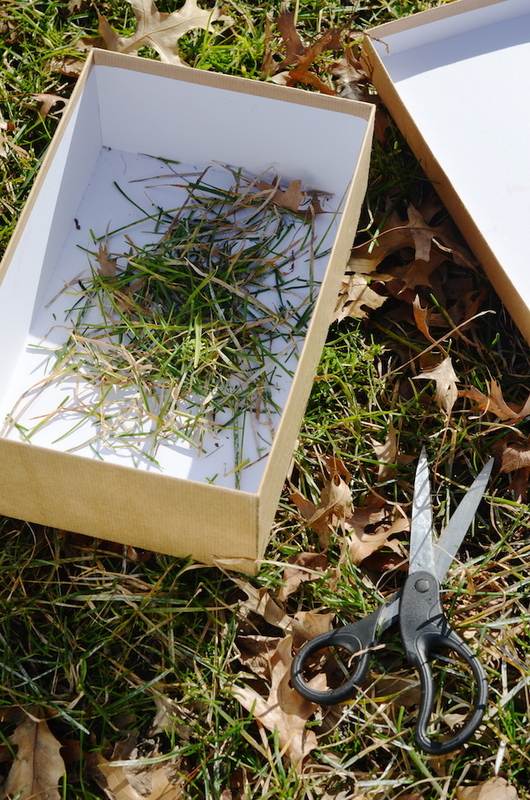 Instead, we celebrated Día de los Reyes by placing shoeboxes filled with grass under our beds on the evening of January 5th. In the morning, we'd wake to find presents where the box of grass had been, believing that they had been left for us by the wise men, whom we called "los reyes magos." As a child, I used to wonder how all those camels fit in my bedroom. My parents used to scatter some of the grass around my bedroom rug and disturb a few things to make it seem like the camels had been there knocking things over with their big camel butts, and would tell us that they had special magic that would make sure we slept through the whole thing. It was all pretty special and magical indeed, and I loved that, as one of the only Latinas in my elementary school, I got to have this whole other extra day of Christmas wonder to extend the season. I've seen this sweet yeasted bread around for years, and thought it would be a fun way to commemorate the holiday this year, especially now that nobody leaves presents under my bed. 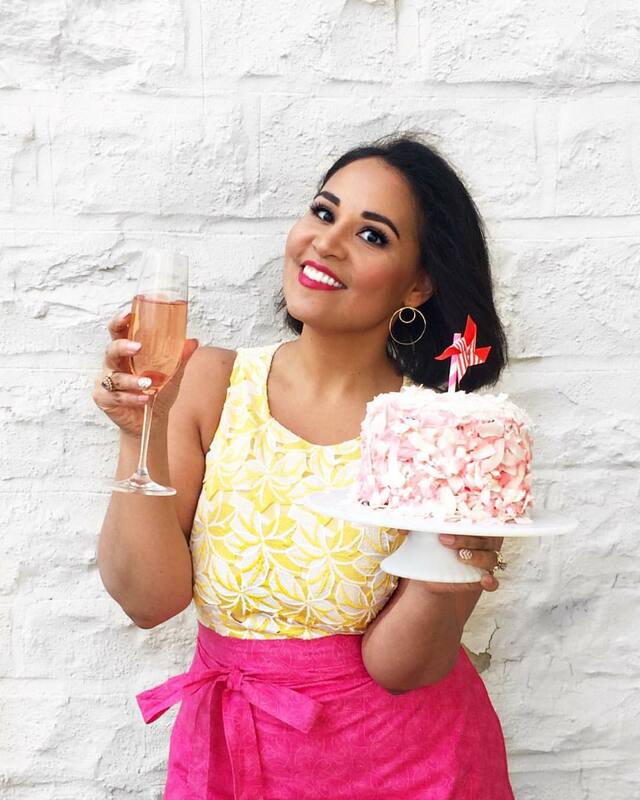 I started off by making the yeast dough, which is a fairly simple yeast dough enriched with butter, milk, and sugar. It's similar to a brioche, with the addition of a few dashes of extract (I chose almond and anise) and some rum-soaked fruit. It produces a sweet, almost sugar cookie-like crust on the top of the bread that I really had to resist eating on its own. Sliced almonds, some sparkly red sugar sprinkles from the Dollar Spot bins, and a few red maraschino cherries finished off my design. I kept it fairly classic, but you can really have fun here and go either the traditional route--with candied citrus--or get creative: nuts, chocolate drizzles, sprinkles or any kind of icing would also work! Don't forget to add the trinket! I didn't have time to buy a plastic baby trinket, so I went through my drawers and decided to add this tiny little Poppin' Fresh figurine instead. Traditionally, a dried bean or a coin would work, too! When you cut into the bread, the dough is soft and studded with bits of the chopped fruit. I used mostly apricot, but raisins, cranberries, figs, cherries, or just about any other dried or candied fruit would work, too. It's wonderful served slightly warm with coffee or with a bit of soft, salted butter. The perfect treat for afternoon snack or breakfast. 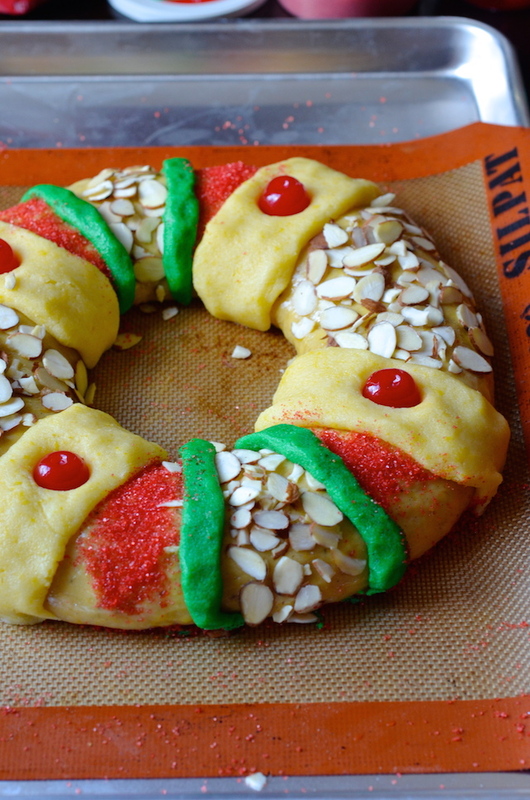 I hope you give this recipe a try, and that it becomes a part of your new Three Kings Day holiday traditions! Combine chopped fruit and rum in a small bowl and microwave 30 seconds. Stir well to combine and let soak. In the base of a mixer with dough hook attached, combine yeast, warm water, and 1 tablespoon sugar. Stir to combine and let sit 5 minutes until frothy. In a small saucepan over low heat, combine the milk, butter, remaining 1/4 cup granulated sugar, orange and lemon zest, and vanilla bean. Let simmer until butter is completely melted, remove from heat, then remove the vanilla bean, scraping in the seeds with a knife. Stir in the almond and vanilla extract. Add to the yeast mixture along with the eggs, salt, and 3 cups flour. Mix the dough adding more flour, 1/4 cup at a time, until the dough pulls away from the sides and forms a ball. Add the soaked fruit with the rum, and let the dough knead at high speed for 5 minutes or until smooth and just slightly sticky to the touch. NOTE: If dough is too wet, add a bit more flour. If dough is too dry, add a bit more milk or water. 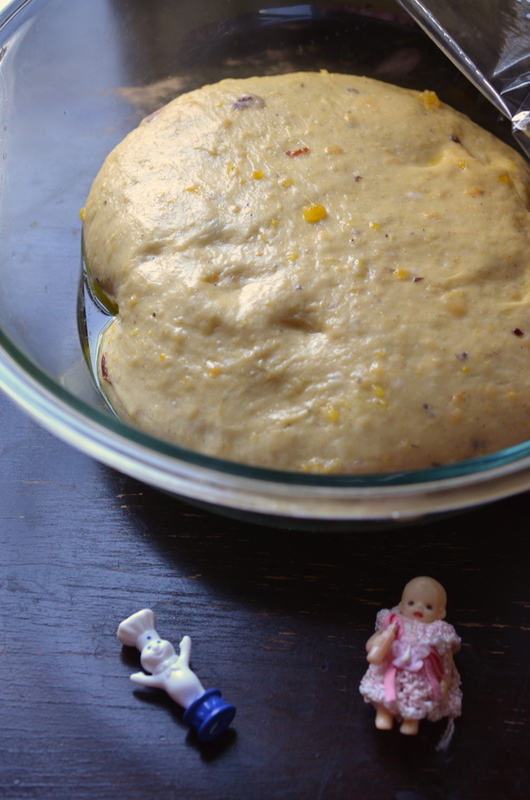 Pour a few tablespoons oil in a large mixing bowl, add the ball of dough and flip over once to cover with the oil. 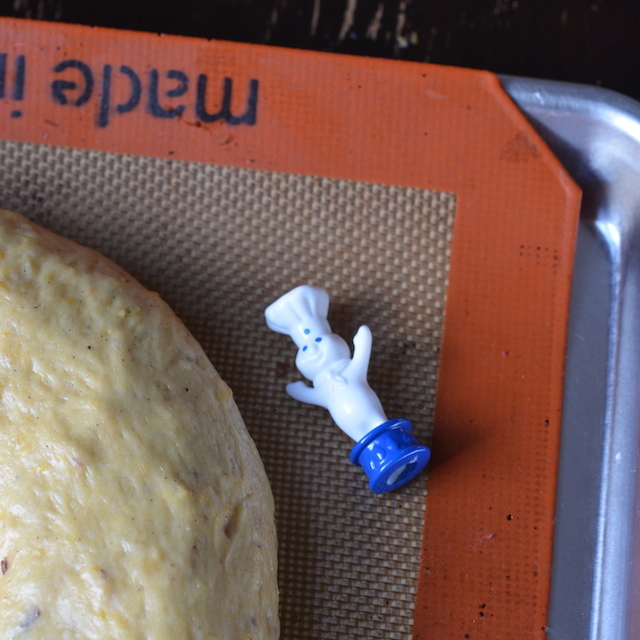 Cover with plastic wrap, and let sit in a warm location for about 1 hour, or until dough has doubled in size. Line a baking sheet with parchment paper or a silicone baking mat. 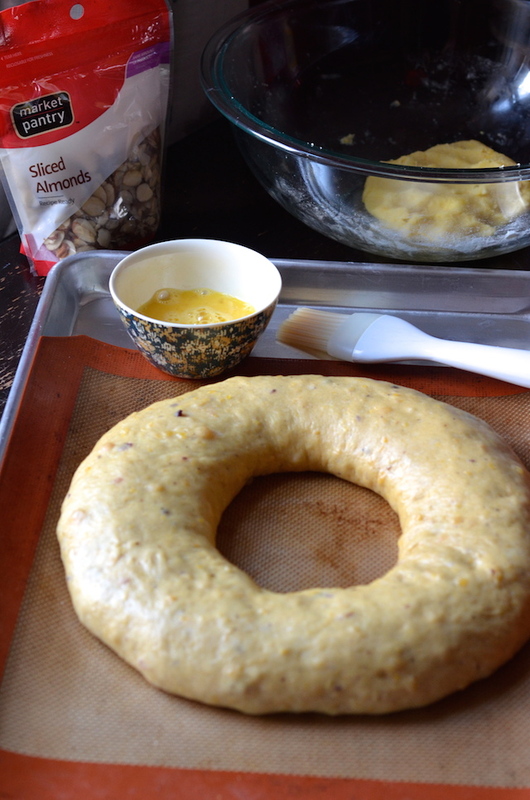 Knead out the air in the dough, then form into a smooth ball and poke a hole in the center, pulling it out until the dough forms a large doughnut shape or ring. Place in the center. The baby: If you’re adding a plastic baby toy, tuck it inside from underneath now. Note that you should let guests know there is a hidden baby in there so that nobody loses a tooth. 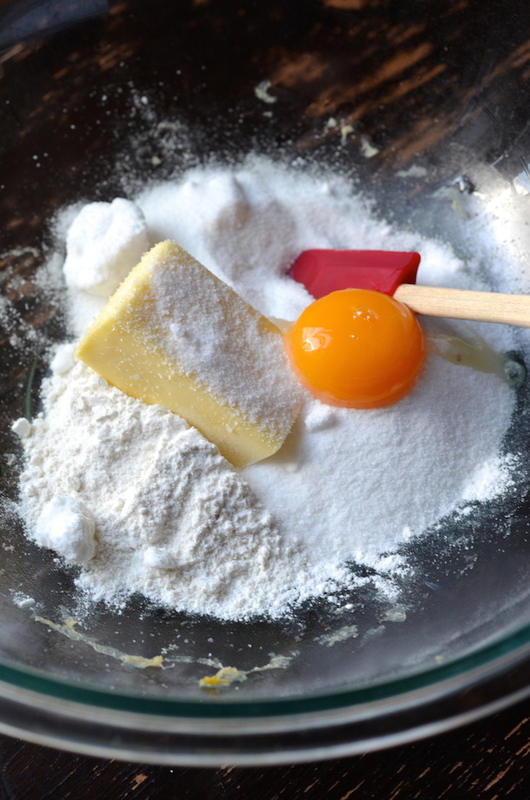 Combine the egg yolk, flour, butter, powdered sugar, and extract in a bowl and knead into a smooth dough. Divide into 4 or 5 equal pieces (you can dye part of it green, if you’d like) then press into small strips about 1 1/2” by 4” and lay along the ring of dough. Decorate: Whisk the remaining egg and use a pastry brush to coat the dough with the egg wash. Sprinkle on sliced almonds, sprinkles, and sugar in a desired pattern. Dot the surface with maraschino cherries and dried fruit, if using. Bake 25-30 minutes, or until golden, risen, and shiny. Cut off any excess sugar paste, and transfer to a rack to cool completely. Serve warm or room temperature with coffee or dessert.